Inspired by a B'erot Bat Ayin lecture given by Rachel Ferency. 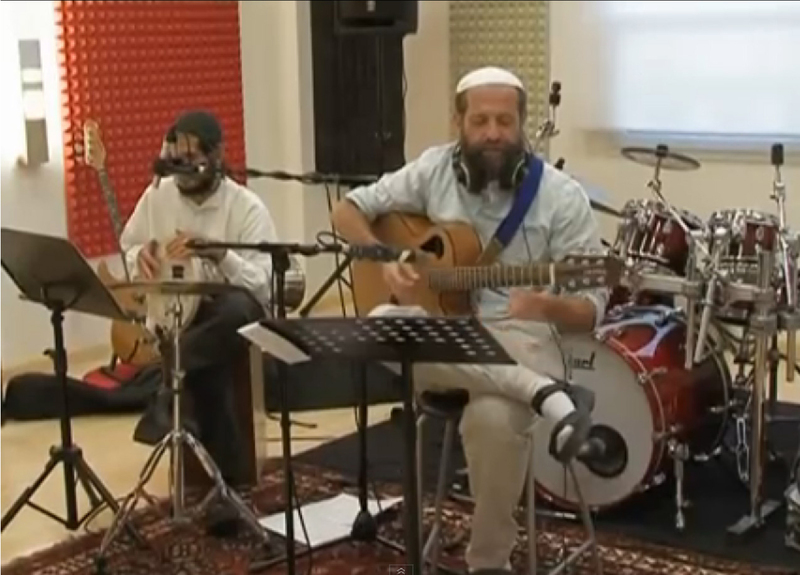 Rabbi Nachman says that the most direct means for attaching ourselves to G-d from this material world is through music and song. We learn from Chassidut that every neshama (soul) had its own melody before making the descent into this world. Physical existence covers up this original song with many layers of noise. The quest for self-understanding and closeness to G-d involves searching the world for our own hidden melody. Through the power of nigun, a tzaddik (righteous person) is able to connect us to Gan Eden (The Garden of Eden) which is the original place of complete understanding. The word, Eden, is related to the Hebrew word, adin, which means delicate. The words, gan (garden) and nigun (melody), are both related to the word ganan which means gardener. 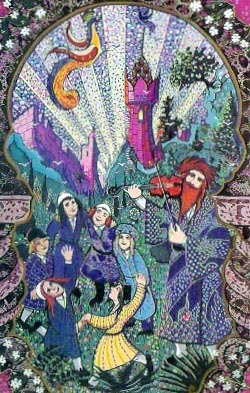 The tzaddik is the ganan; he knows the delicate secrets from the Higher Worlds, and brings them down to the Lower Worlds in the form of a nigun. The nigunim (melodies) brought down by the tzaddik, or those revealed by other gifted individuals, can actually pull a person up from one spiritual place to another. Song is an especially effective tool in prayer, as a window to deeper levels of kavanna (intention). We also know that the prophets used music to attain the level of simcha (happiness) necessary to reach a state of prophecy. Music is provocative; it brings us to a place of teshuva (return, repentance) by cutting through the klipot (shells, layers) surrounding this world and uncovering the essence of truth. We learn from Chassidut that there are ten primary songs in the world: (corresponding to the ten sayings of Creation, the ten Sefirot (emanations), the ten commandments, etc.). Nine are already revealed and the tenth will be sung by the Messhiach. A whole song is going on around us, but the physicality of the world masks our ability to perceive it. It is our task to listen closely to our own inner Song, and to look into the songs of all the people of the world to find the ultimate song of the Beit Hamikdash (Holy Temple). May we all be blessed to rediscover the highest melodies through learning, singing, and touching other souls!